(Ok, technically this was shot on the 4th, but it's my project, I make the rule). 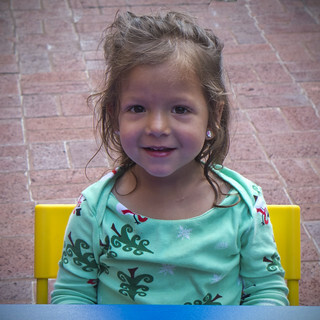 My daughter hanging out on the patio post-swim in her Christmas PJ's. In July.